"The blouse is too short and does not cover enough. 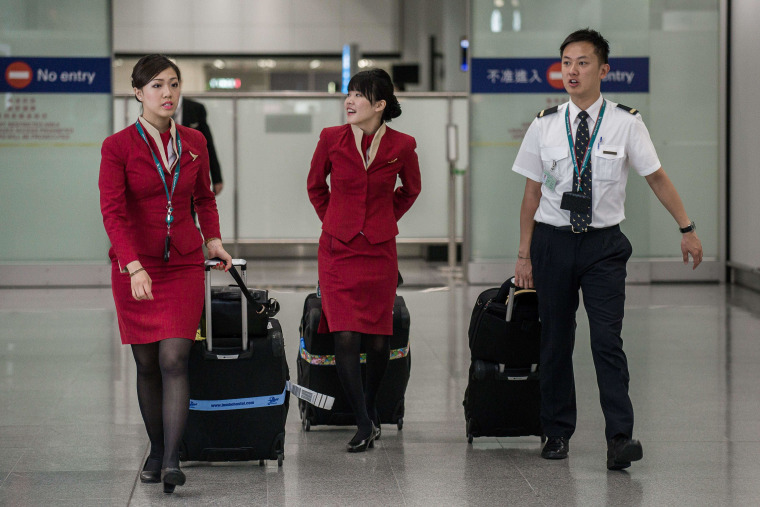 Whenever a flight attendant bends down, her waistline is exposed," Michelle Choi, the trade union's honorary secretary, told the South China Morning Post. "We believe the company intentionally does this to make us look a bit sexier and to let the passenger see more," she said. Choi said the tight attire has led to increasing incidents of sexual harassment. She said female flight attendants experience problems on one in every 10 flights. Cathay Pacific said that cabin crew members can now exchange their uniform for a looser, longer option. "Crew are welcome to exchange their uniform any time if they feel the fit is not right," the airline told the South Morning China Post. It added that it had modified the length of the blouses and the skirt's tightness.